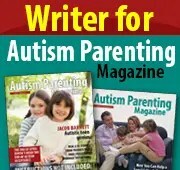 I am the mother to two wonderful autistic boys, whom I love to write about frequently. I will let all of you know that it has come to my youngest son’s attention that I have been writing much more about his severely autistic brother lately than him, and he is not amused. So in an effort to rectify this situation, here goes. My youngest, Zachary, is almost twelve (!) years old, and is considered to be on the mild end of the spectrum. It wasn’t always an easy road for Zach, but over the years with therapies and maturity and lots of patience, he has grown into the stellar young man he is today. I admit, for me there was some wine and chocolate along the way, but we got to a good place eventually. Zach would be considered a success story by any standards. He does beautifully in school, has friends, participates in activities he loves, and most importantly, adores his life. His father and I are grateful every day that his hard work paid off and that he’ll have so many choices for his future. His is a kind-hearted soul, one I feel fortunate to raise. This doesn’t mean that everything is always perfect- it never is with any child, but I think perfect is overrated anyhow. I will tell you that while many different things went into making my child love his life, including good therapists and excellent teachers, I will share with you that there are several activities that have had a profound impact on him, and one of them is boy scouts. Zach started cub scouts in first grade, and by third grade I was one of his den leaders. Zach was very impulsive in his younger years, and it wasn’t always easy to manage him at den and pack meetings. Our den had an eclectic group of boys, and I can recall often being bathed in sweat by the end of a den meeting. Den days were often wine and chocolate days. We persevered, carefully chose his new boy scout troop, and I held my breath. We started attending meetings in March, he crossed over from cub scouts to boy scouts in June, and really started participating in the troop in September. I will say both for Zach, and for myself, it’s been a wonderful and eye-opening four months. Boy scouts is intrinsically different than cub scouts, as it is “boy-led”, with the scouts making most of the decisions as to what activities they do and all of the accompanying details. The boys are supposed to initiate almost every conversation- be it toward advancement in ranks, questions regarding a camping trip, or the acquisition of those valuable blue cards for merit badges. Initiating conversations, unless they’re about Star Wars or Roblox or Minecraft are not Zach’s forte. Getting the hang of advocating for what he needs has been difficult for him, and it’s a process that requires coaching, sticky notes, and multiple tries. Cold calling adults to be his merit badge counselors is not easy either, but with a script to work on he’s getting it down. It sounds like a simple skill this self-advocating, but I truly believe it will be one of the most important that he acquires in childhood, and scouts will be the forum wherein he learns to do this. His father and I fully anticipate that he will attend college, hold a job, have a wife and the four (!) kids he says he wants, but despite being on the more mild end of the spectrum Zach will have some challenges along the way. I can’t stress enough the importance of independence with any child (my teaching background is kicking in here), but with kids on the spectrum, it’s imperative. It’s not just kids on the mild end either. We constantly strive with his brother Justin to further his independence in basic skills and toileting, and I constantly remind myself not to do for him what he can do for himself. And for Zach, having the skill to ask for what he needs will be imperative in gaining him that coveted independence. I’ve already seen growth in Zach in this arena since he started boy scouts, and it has transferred over to home as well. I am hearing a lot more “I need this” and “I’ll do it myself” which is heaven to my ears (especially where chores are concerned, it’s never too early to prepare for a good marriage). I’m sure part of this newfound independence just goes with entering the last third of childhood, but I am certain scouts has influenced this new desire, and I am grateful he will have many more opportunities to self-advocate through this organization. “Can I help you?” she said quietly, standing respectfully behind me as I tried to maneuver Justin off the ride at Great Adventure. I turned to make sure she was talking to me, saw her smile, and knew she was there to help. I was confident in another second or two I’d have him out (he’s big now, I wouldn’t want anyone to hurt themselves), so I responded “Thank you, but I’ve got this.” She wished us a good night, and moved toward the exit. It was freezing there that day, but her offer warmed my heart. In the last two years particularly I’ve had some issues with Justin when we’ve been out and about in the community, and as he’s gotten older and bigger it’s at times been more and more difficult to contain him when I’m alone with him. The last year until this past fall was especially grueling- we struggled at Jenks, at Great Adventure, at the movies, etc. You might wonder why I still kept taking him out. The truth is there were still many instances where he behaved beautifully, coupled with the fact that I’ll be damned if his world becomes smaller than it already is. The times he’s fought me have always been for a reason. Perhaps it was that he wanted to go on a ride he’s been too tall to ride for five years. It might have been for a trip to a water fountain I couldn’t see and thought he was just trying to leave. Perhaps he did just want to leave the venue just minutes after we’d arrived. Sometimes I know the “why,” and sometimes I’d pay big money for those answers. But truthfully in the moment I just want him to stop, and sometimes our “wrestling” can be intense. I’ve had a few instances where I’ve been soaked in sweat from the encounter, and I can’t blame it on perimenopause. We all have to find the humor somewhere. Those episodes with him are physically and emotionally wrenching. I can honestly say in all the years we’ve had this struggle I’ve only had two offers of help with my son. Yes, two, and one was a Jenks “cop,” so I’m not sure that really counts. Justin is bigger than me now. I’m sure an autistic teenager in the throes of a meltdown is a scary sight for some. I completely understand why moms and dads with small children steered clear of us. I get it, I wouldn’t put my kid at risk either. The truth is I’ve watched some strapping young men glance our way and then give us wide berth. Honestly, I think this community can do better. It can’t be from lack of awareness, for everywhere you turn in Jersey there’s an autistic kid, so I’m confident people knew what my son had. To be honest most of the time I can figure out a solution to his angst and work him through it. But there may come a day where I can’t, and I would love it if someone simply offered to help. I’m not asking anyone to get physical with my kid. Perhaps you could just hold my purse, or his pretzel, or make a phone call home for me if things really get bad. Just knowing someone else gave a damn would have helped. I am far from the only person in this area who has gone through this. I’ve seen other families struggle, and once on the boardwalk I was able to comfort the young sibling of an autistic boy in a gigantic meltdown while his mom worked to calm him down. I felt lucky to be there that day. She told me I helped her. It took five minutes of my life, and made that family have a better day. So I’m writing this to our community, a community I have often written about as particularly caring and compassionate where my son is concerned. If you see a mom or dad struggling and you are able, please offer to help. Nine times out of ten they’ll probably refuse, but maybe that one time you can really do something to ease that family’s strife. And while there may be nothing you can physically do for them in that moment, trust me, just by asking them you’ve already helped. From my community to the greater community at large, I thank you. If you are just beginning your autism journey with your son or daughter, I imagine you are feeling at least a bit (understatement of the year) overwhelmed. Perhaps you’ve been able to secure that elusive appointment to get your child a proper diagnosis. Maybe you have passed through that gauntlet and are already lining up meetings with Early Intervention for both you and your kid. Perhaps you’re at a later stage and are in the midst of evaluations with your child’s school district to get him or her enrolled in what you hope will be an appropriate (and excellent) program. I imagine that wherever you are in this process, whether during it or after it, you are very, very tired. I am fifteen years into our autism journey with two children on the spectrum, but I can remember those days like they were yesterday. It seemed for years we were living from one doctor’s visit to the next, one evaluation/meeting to the next. It was a relentless round of hurry up and wait, until finally we moved and got our son, Justin, into his local school district. And yes, I too was very, very tired. We were fortunate in that most of Justin’s therapists and teachers were wonderful, however most people do not deal with dozens of practitioners without having at least one bad apple in the bunch. For us, it was an Early Intervention provider who informed me with absolute certainty that my twenty-month-old would never speak or live independently. In truth, she turned out to be right. I will tell you this. 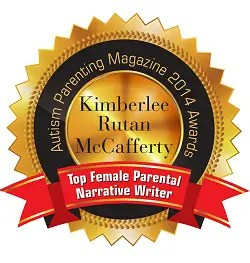 At the tender age of eighteen months my eldest son was diagnosed with moderate to severe autism. He had no words, had frequent meltdowns, relentless insomnia, gastrointestinal issues, sensory issues, and was the pickiest eater on the planet. 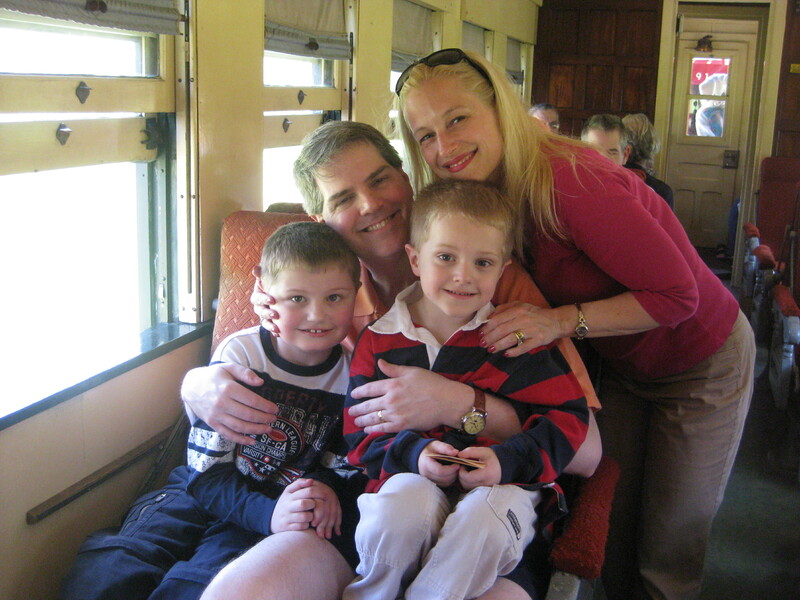 This was 2004, and a diagnosis at this age was generally unheard of, but we were fortunate that a developmental pediatrician was able to recognize his issues for what they were so we were able to start various therapies with him. He was not even two when he started with ABA and speech therapy, barely walking when this particular therapist graced our doorstep. She had no right to say what she said. There is absolutely no way anyone can predict the trajectory of your child’s future when they’re this young. And while my gut instincts told me Justin might remain at the more severe end of the spectrum, the elusive possibility of him having some semblance of functional speech and some measure of independence kept me going in those dark days when I was my son’s primary therapist. With that one sentence his therapist robbed me of hope and plunged me into days of despair before I was able to realize that she wasn’t omniscient, and was far from having all the answers. She never should have said what she did. And I wish I’d had the energy to tell her that to her face. Fourteen years after that chilling moment my son does have a few words, but more importantly he can communicate beautifully with his iPad. He will never live independently, but is wonderful at getting his needs met by himself, excellent at the execution of completing a task. He eats (even a few veggies! ), sleeps, and no longer has many sensory issues. Most importantly, he’s one of the happiest children I know. Ten years ago our second child was diagnosed with regressive autism, and at first his trajectory seemed to mirror his brother’s. Zach was eighteen months when he experienced two back-to-back illnesses which seemed to rob him of speech, appetite, and extinguish the light in his eyes that made him our boy. I remember thinking at the time that one of his therapists could have said the same thing about him that they did about our older boy, but fortunately all held their tongues. And ten years later he no longer has special education status, has friends, made the distinguished honor roll in his first marking period of middle school, and most importantly, loves his life. To this day, both of my sons still surprise me with their skill acquisition, their ability to adapt to different environments, and their ebullient souls. Fifteen years ago I could never had predicted I’d be at this point with my two boys, and my hopes for their happy, safe and productive futures were what kept me going during our darkest days. Nobody can predict your child’s future when they’re very young, not even the most brilliant doctor or the most experienced therapist. Don’t ever let anyone rob you of hope that your child will one day be happy too. And never, ever give up in that pursuit.